I am that person who is able to fall asleep anywhere, at any time, on anything, which is amazing. My neck, on the other hand, is quite unpleased with this ability. Why? When using a scrunched up jacket, your arm, or a car window as a pillow, your neck suffers the consequences for the rest of the day. This can be fine for one of those, out of the blue sleeping splurges, but planning for most nights a week, for what ended up being a five month long adventure? Not going to cut it. I still consider sleep to be the most important aspect to take care of when long term adventuring. If you do not take the time to find what creates a nighttime cocoon of bliss for yourself, your day will suffer the consequences. I found this to be even more apparent on my scooter journey. My neck was one of my most important tools to my safety while riding. Being a small blip on the road surface made it imperative that my head be on a swivel at all times to stay hyper aware of my surroundings. While planning out my scooter gear, I knew that I would need to find an impossible pillow. One that actually felt like a pillow, but compacted down into nothing space. 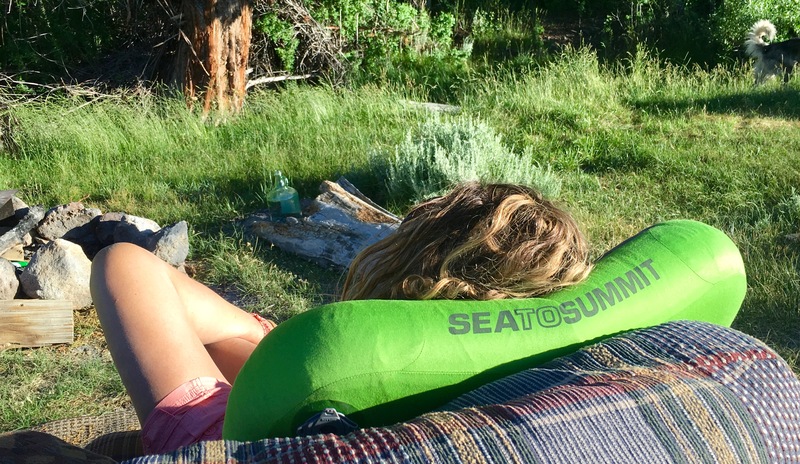 After hours of research and years of personal failed camping pillow purchases, I found Sea To Summit’s Aeros Premium Deluxe Pillow with gratitude that will emanate from my being for eternity. I am always super sensitive to sound, but while camping, this sensitivity is heightened even more. Often material used for camping gear creates a dystopian orchestra of plastic noise while in use. The material that Sea To Summit used for this pillow, both the bladder and soft covering, meld together to create minimal excess noise. This allows me to, not only stay in dreamland until morning, but to distinguish between the abominable desert vampire clowns and your average furry woodland creatures. The soft outer fabric also allows for the pillow to gain some traction with your sleeping pad so that it doesn’t run away from you in the middle of the night while offering a soft companion for your cheeks. While setting up camp, I usually make an effort to inflate all of my bedding to max capacity right off the bat. I do this first, so that when it is time for bed, I can get right to it with little fuss. By that point I am usually so exhausted from the day that I don’t want to spend any time tinkering with air levels as most valves will just let too much air out too quickly and leave my head in a pool of airless material. 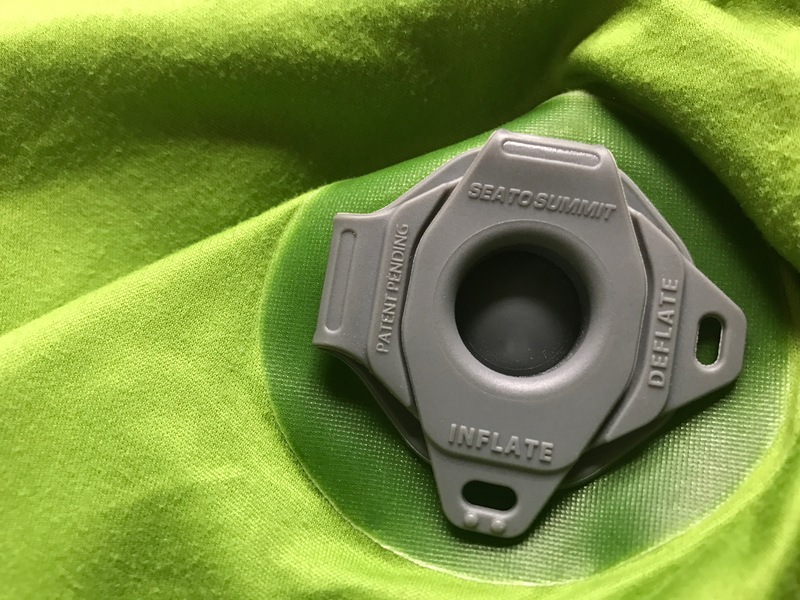 Sea To Summit’s valve on the Aeros Premium Deluxe Pillow makes it super easy to make any of the adjustments you need in a jiffy. 1. When the ‘Deflate’ tab is pushed in place, and the ‘Inflate’ tab is free, you are able to breathe air into the pillow to fill. The blue valve cover helps the air that you have breathed in, stay in until you can close the tab. No more rushed efforts to try and trap escaping air! 2. 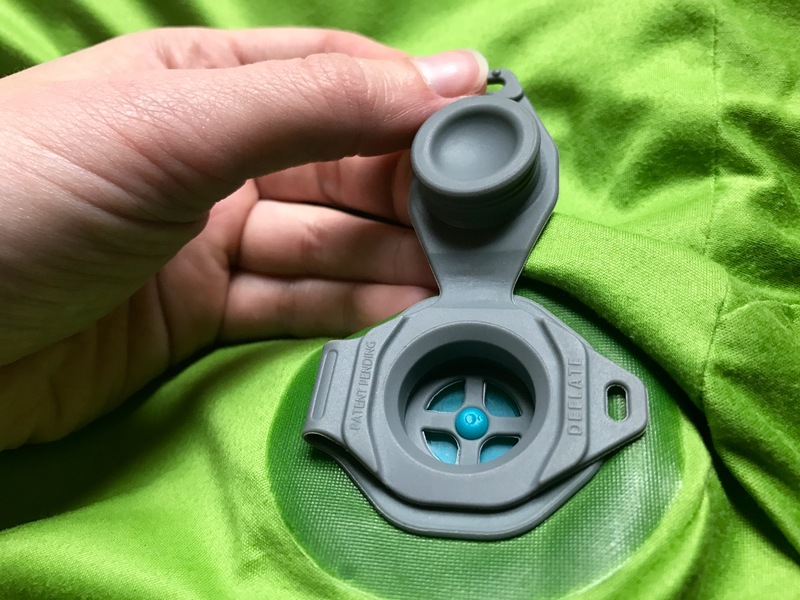 For quick and minor adjustments, push on the small blue bump in the center of this valve to release air slowly. 3. When both the ‘Deflate’ and ‘Inflate’ tabs are free, you are able to quickly evacuate all of the air from the pillow. 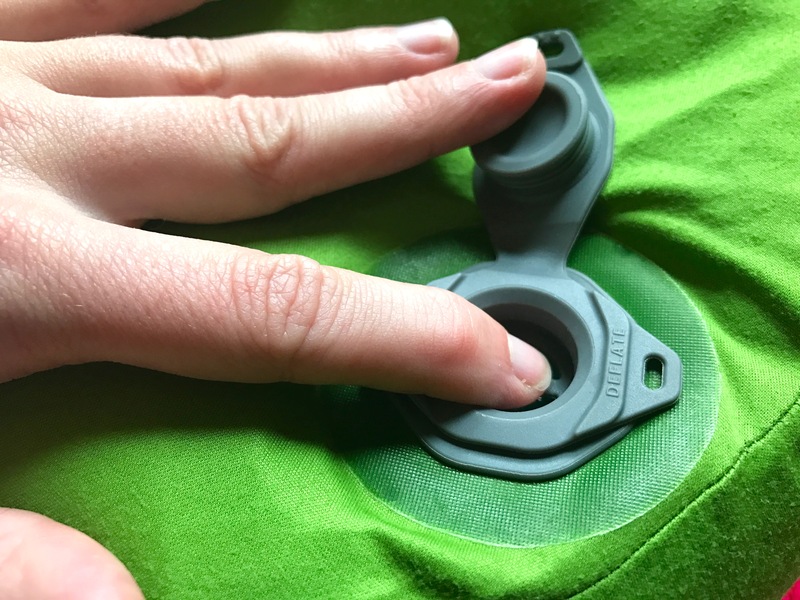 This valve is wonderfully placed on the upper left hand corner of the pillow to make it easy to fine tune the adjustment when you’re already tucked away in your hammock and just need that last little change. I brought three different sleeping methods for camping while on my most recent journey. I used a bivy sack, a two-person tent and a hammock. At first I was a little wary of how the shape and size of this pillow would work in the smaller sleeping arrangements, especially the hammock, but ended up incredibly pleased with the results. 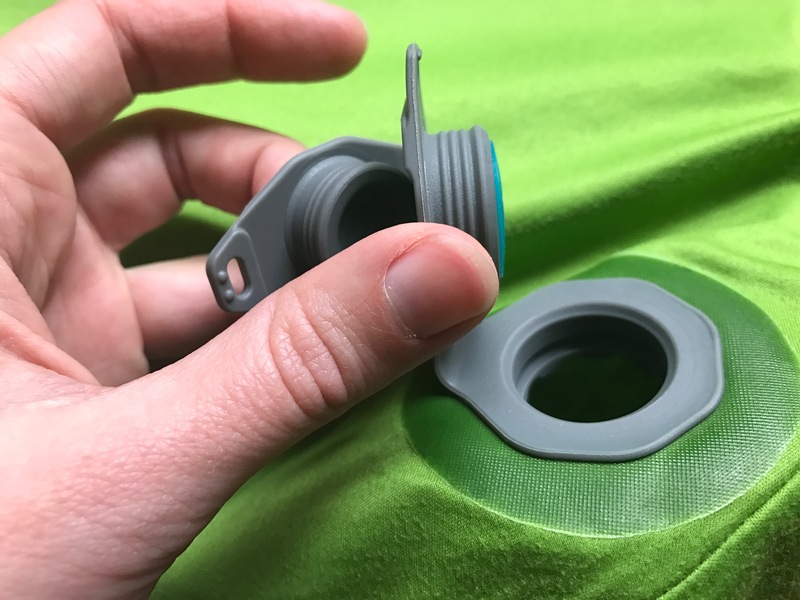 The TPU bladder will happily hold air while bending to accommodate the curved shape of the hammock, or the tight space of the bivy. 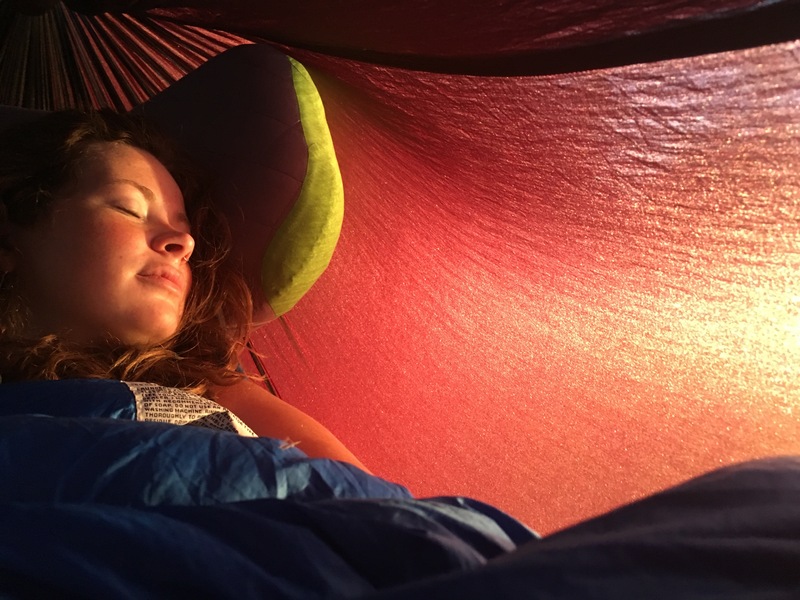 While stretched out in my two-person tent, the Aeros Premium Deluxe feels almost just as if I had brought my pillow from home. It’s big when you need it, and small when you don’t. The thickness of the pillow is perfect for when I want to sleep on my side, and after letting a little air out, works wonderfully for sleeping on my stomach or back. When ready to put away, a few quick folds will have your pillow neatly tucked away in its zippered pack. The case also has a small handle, which ended up being super useful when taking items out from my scooter to set up camp and needing to hang it off the handle bars and out of the dirt or mud below. Keeping your pillow fresh and clean is a breeze. Simply close the valve, fill up a sink with some water, add some laundry soap, toss in the pillow, and kneed gently with your hands. After a good rinse in some fresh water until the suds are gone, open up the valve and hang to dry. Also, to make sure your pillow in good shape for a long time, it is a good idea to either keep it loosely rolled up, or laying flat with the valve open. I can’t say enough how thankful my whole body is that I brought a real pillow along. The comfort offered from such a delightfully compact camping gear item just kept on giving in ways I had originally not anticipated. Never again will I travel without this pillow by my side. MSRP: $69.95 Buy Now From Amazon! Thanks for the info, Def need a good pillow for actual sleep! When are you headed back to the Carolinas? Very good review, thanks for sharing. 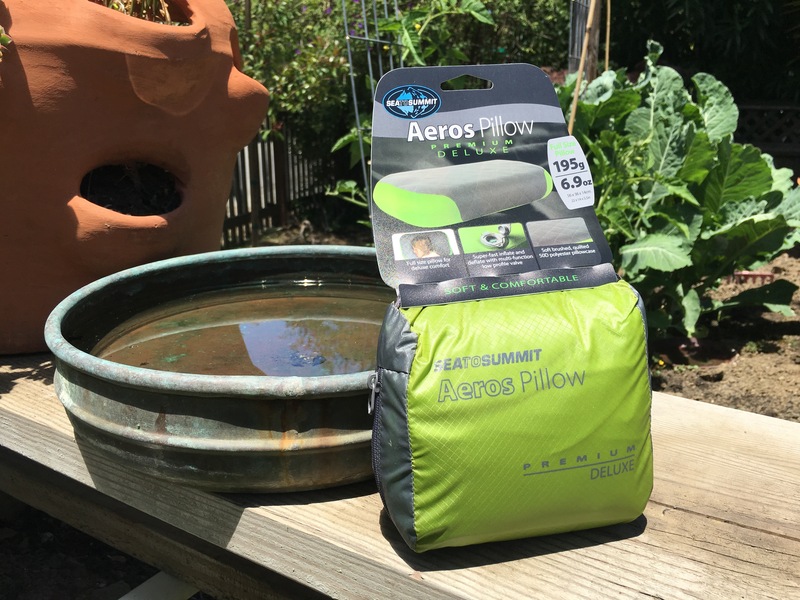 Wondering if you had experience with the Nemo Fillow Premium pillow and if so, how this Aeros pillow compares to the Nemo? Thank you for reading Jeff! I do not have experience with that pillow, however I have been impressed with most of Nemo’s gear. 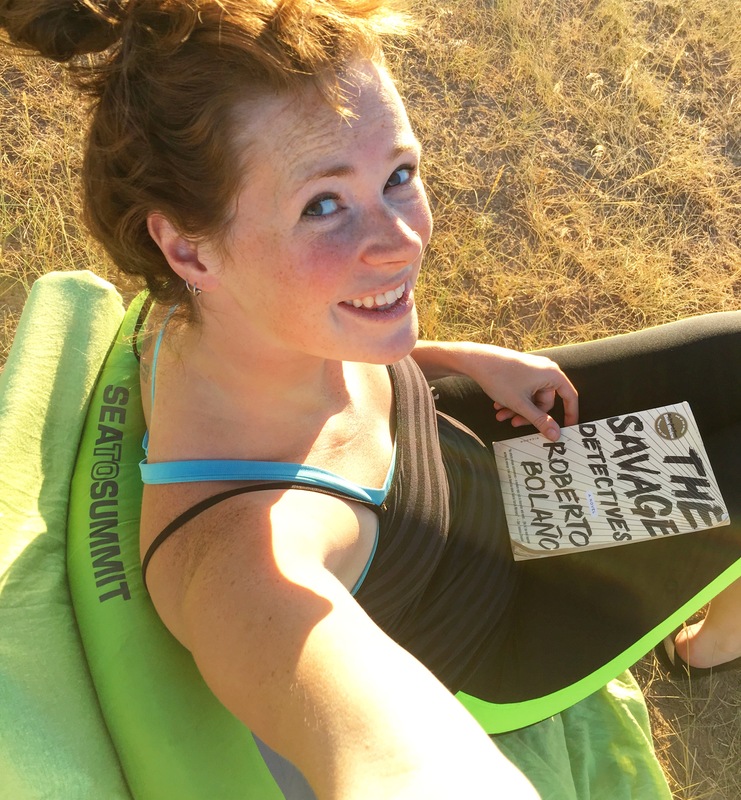 I will say, my main appreciation of this Sea To Summit version are the “squared sides”. I am mostly a side sleeper, so this helps keep my neck in line with the rest of my spine. Hope that helps! I bought the Aeros…and have to say…I much prefer it over the Fillow Premium. Glad I got it…thanks again for the review!